To associate the attribute “Colors” to the product, do exactly as you would do for any other attribute belonging to WooCommerce types. 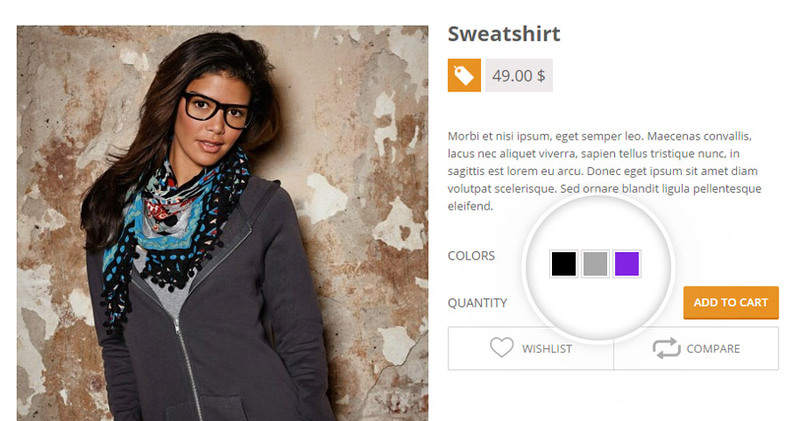 Add the new attribute and values in the section Attributes in product page. Once you have configured product settings through the created color attribute, we will see something like this in product detail page.